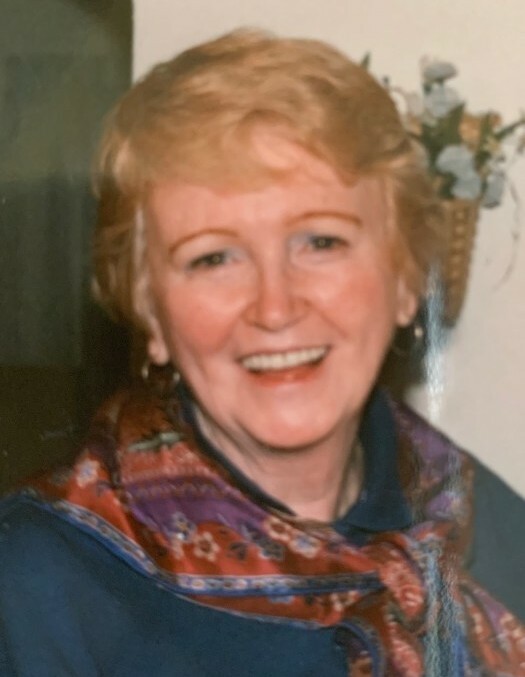 Mary Cretel (nee Mulligan), originally of Riverdale, NY, died peacefully in her sleep, on April 15, 2019, at the age of 89. She was born January 17, 1930 in Yonkers, NY, the daughter of Frank and Helen (nee McCaffrey) Mulligan. Mary raised her family in Butler, NJ and lived for 24 years in Barnegat, NJ, where she and her husband enjoyed life at the beach. Mary was united in marriage to Maurice Cretel on April 7, 1956. He predeceased her in death on March 17, 2016. She is also predeceased by her sisters Eleanor “Lolly” Beattie, Dorothy “Googie” Barry and sister-in-law Margaret “Peggy” Walmsley. Mary was a devoted member of the Secular Franciscan Order, who seek to pattern their lives in the spirit of Francis of Assisi. At a young age, Mary learned to sew. She made her own clothes and later developed a passion for both knitting and quilting. Her quilts are works of art, with patterns and details that tell unique stories. As a gifted seamstress, her talents brought joy to many when she made puppets and blankets for patients in the hospital. Mary attended Blessed Sacrament Academy in Yonkers, NY, graduating in 1947. Her professional working life started at NY Life Insurance Company in New York City, where she was a typist. Mary paused to raise her four children. In 1976, she resumed her career at State Farm Insurance Company in Wayne, NJ and was employed for 18 years before retiring. Soon after, Mary began her life of service and commitment to St. Francis. As a secular Franciscan, Mary served the needs of the poor and hungry and brought Holy Communion to the ill and homebound. She volunteered throughout the year at events on Long Beach Island. Mary is lovingly remembered by her children Mary Ellen Fitzpatrick (Brian) of Absecon, NJ, Robert Cretel (Sheri) of Dana Point, CA, Patricia Graham (Michael) of Mountain Lakes, NJ and Elizabeth Cretel of Boston, MA. She is beloved Nana of Matthew Fitzpatrick, Megan Fitzpatrick, Daniel Fitzpatrick, Christopher Cretel, Jeffrey Cretel, Michael Graham jr., Ian Mulligan Graham and Peter Graham. She is further survived by nieces and nephews who cherished her lively spirit and quick wit. 4700 Long Beach Boulevard, Brant Beach, NJ 08008; 609-494-8861 ext. 121. There's still time to send flowers to the Memorial Gathering at the St. Francis of Assisi Church from 11:00 AM to 12:00 PM on April 26, 2019.